Coming back to exercise? Need some support? Our Begin2Spin Sessions are designed to help you become a confident rider. From climbing hills, to running on the flat roads, Begin2Spin sessions let you push as hard or as little as you choose. Like to feel the burn? Enjoy High Intensity Training? Then join us on our SpinFit sessions to get the opportunity to push yourself and find new limits. All sessions are challenging including climbs or sprints but as always, you choose your pace. 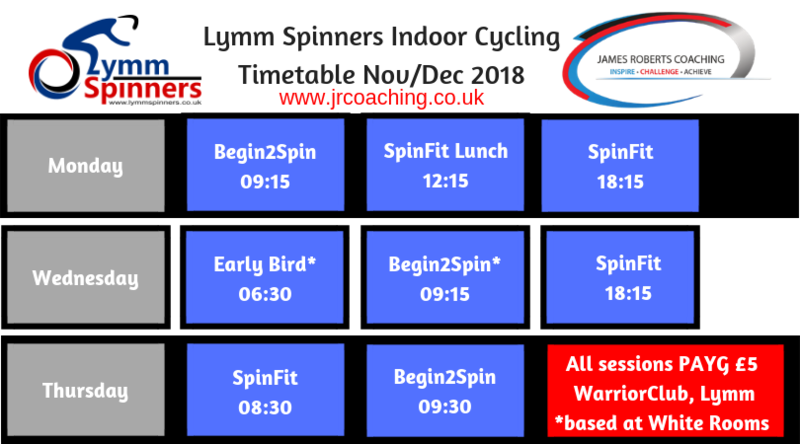 Our Intro2Spin sessions are totally FREE and designed to show you how to get in the saddle, set your bike up and learn how to ride your first session. Added to the timetable during the year. Unlimited sessions in October for £35 and also due to popular demand November too! Ask claire for details. Passes available during the first week of November. Claire is a lifetime cyclist and athlete, having raced at national and international level during the 80s and early 90s. Her passion for cycling and the benefits of enjoying this low-impact sport are the main reasons why she qualified as a Spinning ® Instructor in 2017, to share her love of the sport with you. 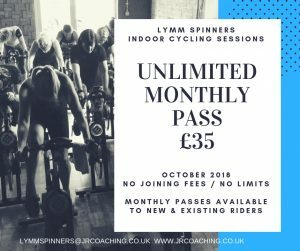 Along with her Partner James Roberts (BC Level 3 Cycling Coach) they deliver weekly sessions deisgned to push you to and beyond your limits, whilst encouraging you to enjoy the ride, meet new challenges and achieve your training goals. Full bike set up support and advice on riding techniques is always given.